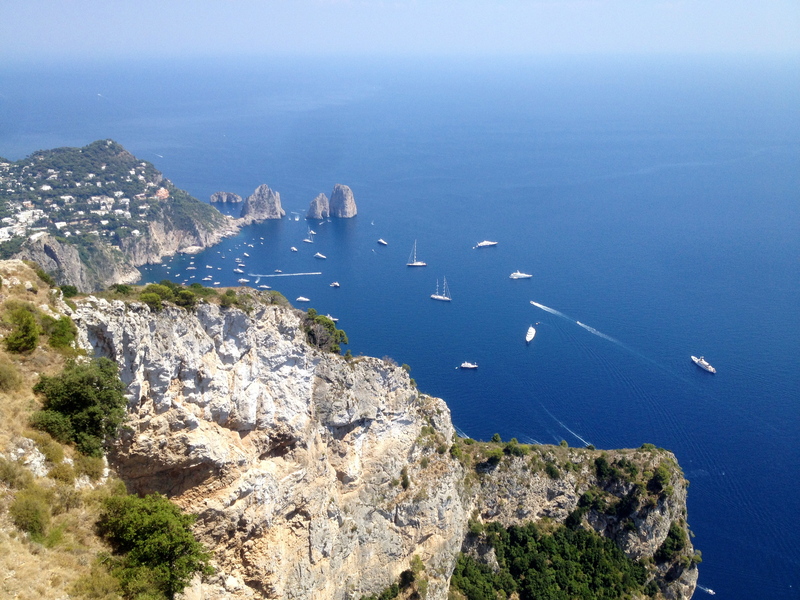 The island of Capri: One of the many stunning places to see while in Italy. Located off the southern coast, the gorgeous island is just a boat ride away from Naples or Sorrento and makes for a beautiful day trip or weekend getaway. (Photos taken this past August when my husband and I visited with some friends). So beautiful! Whenever we get a chance to visit, I want to go there!